“Dayak Ikat Weaving” is a traditional weaving process from the heart of Indonesian Borneo. “Ikat” meaning “to bind” involves tying and dyeing thread before it is woven into elaborate designs. The symbolic Dayak motifs incorporated into the woven patterns make every cloth unique: each depiction has a specific meaning, allowing every cloth to tell its weaver’s story. 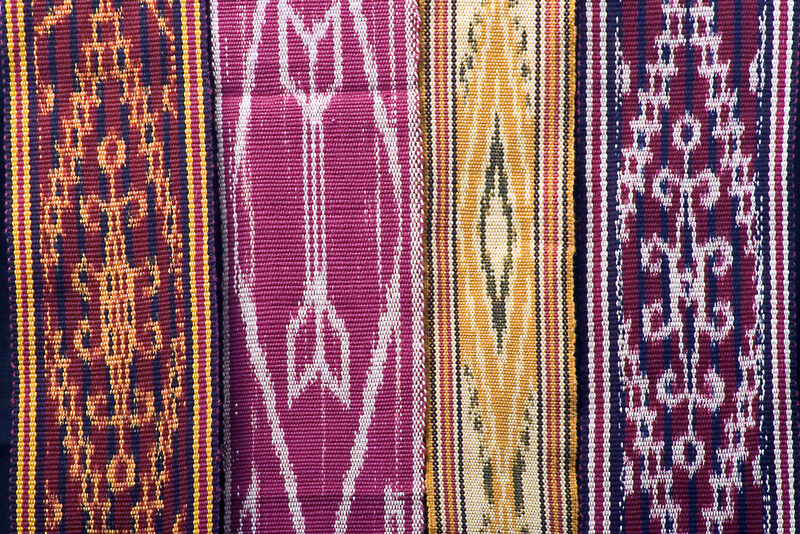 The skill and time required for each piece have made ikat weavings a prime collectible item, particularly when the cloth is aged. Patterns are passed down from generation to generation, deeply rooting the craft form in the Sintang Dayak culture. The delicate allure of Ikat products makes them perfect décor and couture accessories. Their elaborate designs can be played up or down to best fit one’s personal tastes. The PRCF Indonesia office provides a point of sales in Pontianak for the products of the Jasa Menenun Mandiri (JMM) Cooperative of Sintang and for independent weavers throughout the province. Our efforts in promoting these beautiful, traditional handicrafts support sustainable livelihoods and empowers the Dayak women weavers of the region. These products are available in their pure form, or are incorporated into modern fashion and décor centerpieces. Beautiful, traditional handicrafts made of rattan and bamboo, from other regions of West Kalimantan are also available. Information about the Cultural Revitalization Program can be found in the “PRCF Indonesia” pages of this website. Untuk informasi tentang proyek ini dalam Bahasa Indonesia kunjungi blog kami: http://www.tenunikat.blogspot.com.